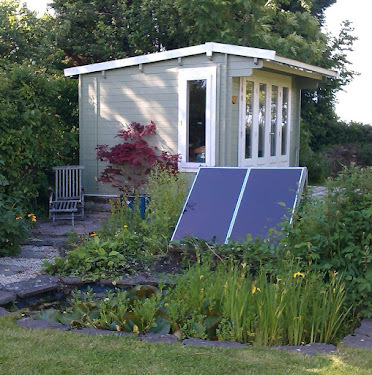 Alex Martin - In The Plotting Shed: It's Daffodils Time! I'm thrilled to announce the launch of Daffodils! Spring is here, the daffodils are in bloom all around us and my book, Daffodils, is now live on www.amazon.co.uk and www.amazon.com for purchase. It's quite a long book - a juicy read - that you can get stuck into. Plunge into the country life of Edwardian England as its social hierarchies are rent asunder by the global conflict of World War One. Follow the fortunes of Katy Beagle as she struggles with her restless nature within the confines of a Wiltshire village; then has to make decisions forced upon her by fate. Ultimately Katy has to find her courage and true nature in the much bigger, and tougher, theatre of war. The role of women was irreversibly changed at this pivotal time in our history, which has always fascinated me. I love the Edwardian era. It is often called the 'Golden Age' and considered to be a halcyon time but we forget how tough it could be for the lower orders; how hard it was to break free of the social class into which people were born. Education was brief, even for the bright, and money tight. Working hours were long and often tedious and poorly paid, even in big beautiful country houses. I started writing this story long before Downton Abbey hit our screens and became so popular. Its success confirmed my ideas that we often follow the fortunes of the rich and glamorous at dramatic times in history and the poorer echelons of society are often ignored, even though it is on their backs that the wealthy managed to survive. Today Katy would have been a definite candidate for university and a career. The women of that period were incredibly brave, hardworking and resourceful. This is my salute to them, and the men who loved them. That generation paid a huge price for our democratic freedom today. This is my personal thank you. And hopefully a rattling good story! 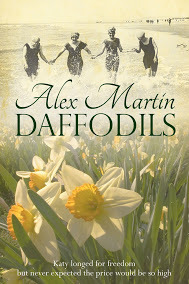 If you read this and enjoy Daffodils, I would love your feedback. Please feel free to post a review on amazon if you like it.